I’m not sure if BetterChrome makes the browsing experience in the iOS version of Chrome better, but it does add Facebook, Twitter, and Google+ sharing to the platform. What I do know is that the exact same features which the developer is charging $1 can also be achieved through bookmarklets for free. Step 1) – Hold down the link to whichever Bookmarket you want, until the context dialog box appears. 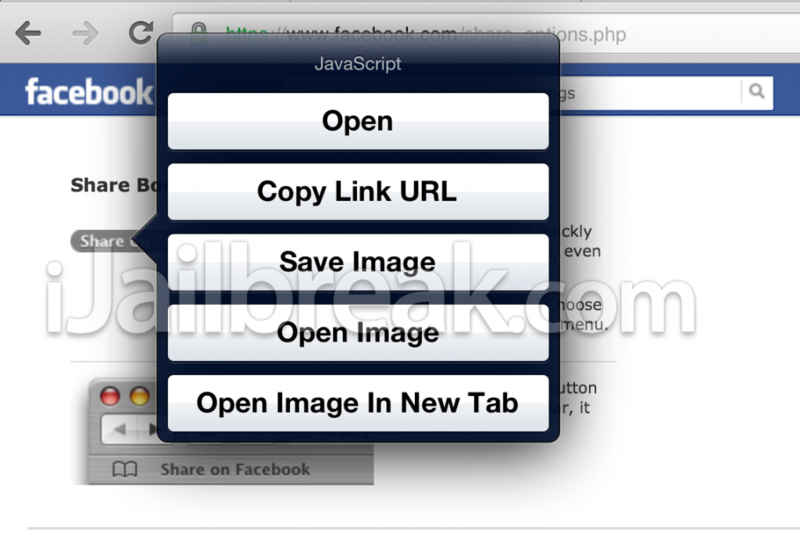 Select the option to Copy Link URL to snag the Bookmarklet code. Step 2) – Star the page as a bookmark, clear the URL, and paste the Bookmarklet code in its place. Rename the Bookmarklet’s nickname to something you can quickly type out. 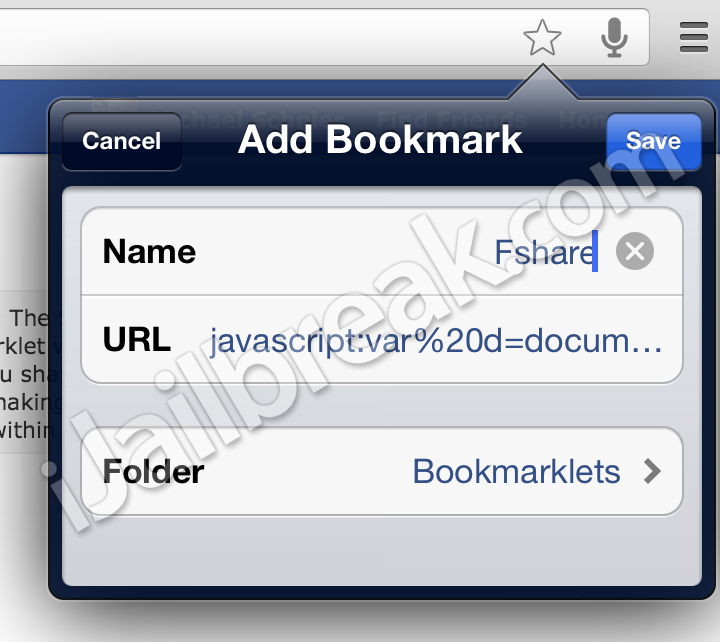 Since I was using the Facebook link for my example, I decided to name my Bookmarklet “fshare”. Step 3) – When you get to a page you want to share, just type in your Bookmarklet name into the Omnibar and select it from the dropdown menu. Here are some popular Bookmarklets to get you started. Google+, Facebook, Twitter, Readability. You can also generate custom Bookmarklets for your Evernote and Pocket accounts. 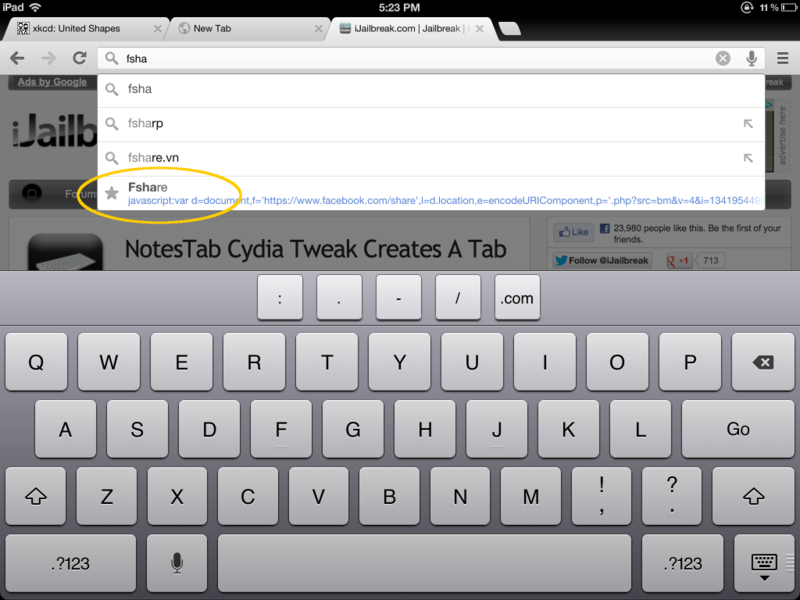 If you’d rather pay the $1 to get less functionality, you can find BetterChrome in the ModMyi repository on Cydia. It’s not that the tweak is bad per se, but we’d rather save you the pocket money when you can use free Bookmarklets instead. On the other hand, you won’t need to type anything into the address bar. Your decision. What’s your favorite browser Bookmarklet? Share your thoughts in the comments section below.